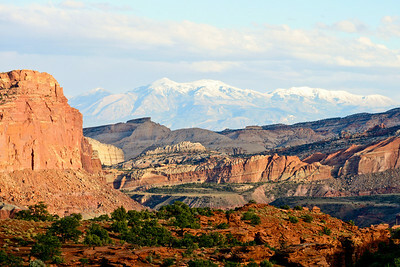 The Henry Mountains from Sunset Point in Capitol Reef National Park. 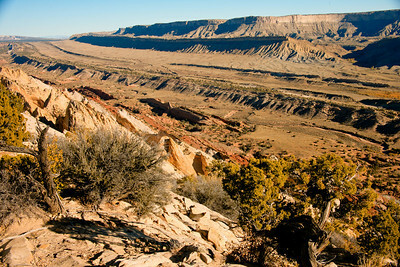 With the Henry Mountains to the east, the Burr Trail road switch-backs from the Notom Bullfrog Road toward Circle Cliffs high above the Strike Valley of the Waterpocket Fold. 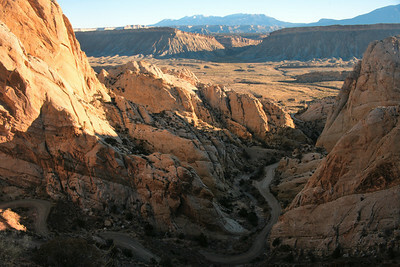 Looking north, the Waterpocket Fold from the Strike Valley Overlook. 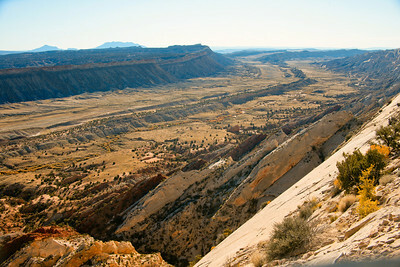 Looking south, the Waterpocket Fold from the Strike Valley Overlook. 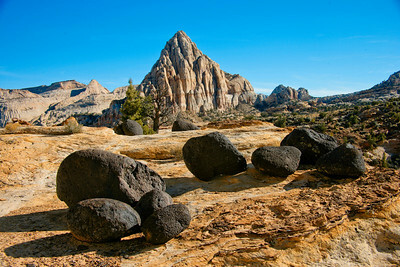 A foreground of black lava boulders provide a stark contrast to Pectol's Pyramid which towers over the Fremont River in Capitol Reef National Park. 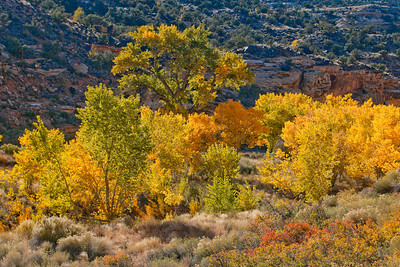 Cottonwood trees ablaze with color by the Fremont River in Capitol Reef National Park. 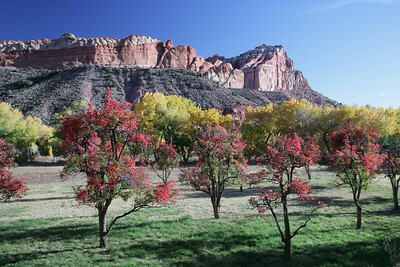 Golden cottonwood and red fruit trees provide a vivid contrast with the red rocks surrounding Fruita Oasis in Capitol Reef National Park. 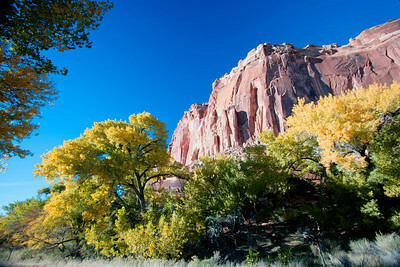 Golden cottonwood trees and blue skys provide a vivid contrast with the red rocks surrounding Fruita Oasis in Capitol Reef National Park. 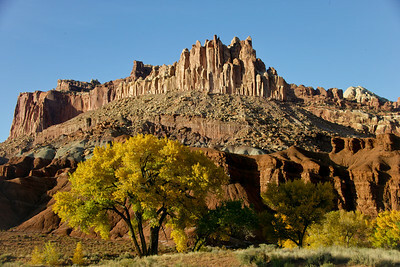 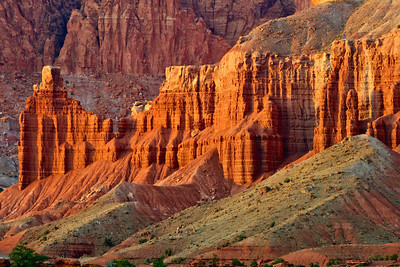 Chimney Rock glows at sunset in Capitol Reef National Park. 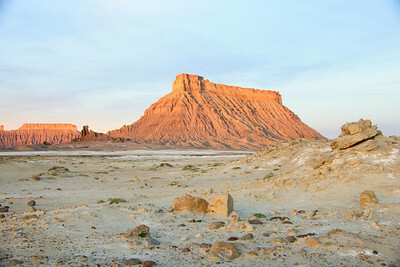 Sunrise by Factory Butte near Hanksville, Utah. 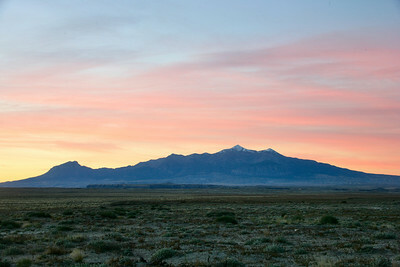 Sunrise above the Henry Mountains near Hanksville, Utah.